NEW YORK (Reuters) - U.S. drug maker Pfizer Inc's $160 billion agreement to acquire Botox maker Allergan Plc was on the brink of being abandoned on Tuesday, after the U.S. Treasury issued new rules on how tax "inversion" deals can be structured. Allergan's shares were hit considerably hard on Tuesday, showing how the rules that were issued on Monday targeted the biggest inversion attempted to date. The federal government has grappled with a wave of recent inversions by U.S. companies seeking to slash their tax bills by redomiciling overseas in merger deals. Pfizer is now leaning toward abandoning the deal with Allergan, though no final decision has yet been made, a source familiar with the situation said. Were the deal to be tweaked, Pfizer is concerned U.S. President Barack Obama's administration could change the rules again to thwart a deal, according to the source. Pfizer shares ended up 2 percent on hopes the company would walk away or renegotiate the deal in its favor. Allergan shares closed down 14.8 percent to their lowest level since October 2014. Obama on Tuesday called global tax avoidance a "huge problem" and urged Congress to take action to stop U.S. companies from tax-avoiding corporate "inversions", which lower companies tax bills by redomiciling overseas. "While the Treasury Department's actions will make it more difficult... to exploit this particular corporate inversions loophole, only Congress can close it for good," Obama said. "We have so many companies leaving, it is disgraceful," Trump told reporters as he greeted voters in Waukesha, Wisconsin on Tuesday. Clinton and Sanders both expressed support for Treasury's plan. Besides Pfizer-Allergan, other pending inversion deals that have not yet closed include the proposed $16.5 billion merger of Johnson Controls Inc with Ireland-based Tyco International Plc, Waste Connections Inc's $2.67 billion deal with Canada's Progressive Waste Solutions Ltd, and IHS Inc's $13 billion acquisition of London-based Markit Ltd. Under previous rules which still apply, Allergan shareholders need to own at least 40 percent of the combined company for the two companies to enjoy the full tax benefits of an inversion, and more than 20 percent to have any inversion benefit at all. But a new 'three-year-look-back rule' issued by the Treasury on Monday makes this much harder for Allergan, and appeared to take aim directly at it because of how the company was put together. The new rule does not allow stock accumulated through the foreign company's U.S. deals in the last three years to count toward the book value needed to meet the inversion threshold. This weighs on Allergan heavily because of its significant deals in this timeframe. These include the $66 billion merger of Allergan and Actavis Plc, the $25 billion purchase of Forest Laboratories and the $5 billion takeover of Warner Chilcott. 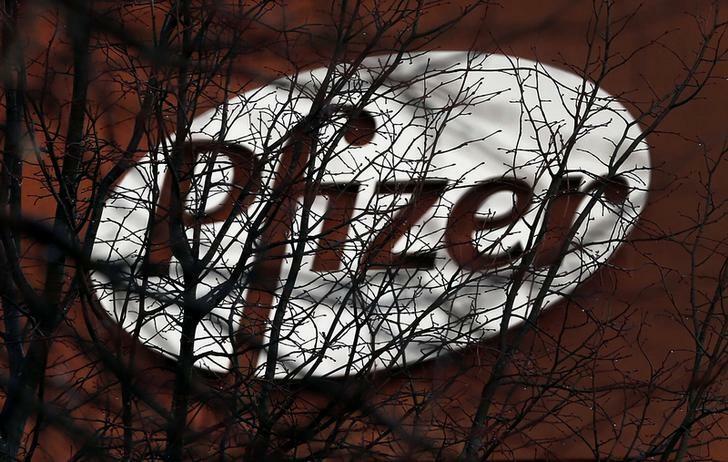 "The serial acquisition portion of the regulations will cause Pfizer to be treated as an 'expatriated entity' (under the terms of its existing deal with Allergan)," Robert Willens, a corporate tax and accounting analyst, wrote in a note. If Pfizer does not acquire Allergan's new, fast-growing medicines, Pfizer would need to look for other companies with attractive products, such as U.S. drugmakers Biogen Inc, Regeneron Pharmaceuticals Inc and AbbVie Inc, said Raghuram Selvaraju, managing director of brokerage H.C. Wainwright. Pfizer had planned to make a decision by 2016 whether to split off its hundreds of generic medicines, but delayed the decision until 2019 after announcing its merger with Allergan. Morningstar analyst Damien Conover said the decision could be moved to late 2017 or 2018 if the deal with Allergan collapses. Pfizer, which announced the deal in November, has said its tax rate would drop to about 17 or 18 percent after the deal, from around 25 percent. That would represent more than $1 billion in annual cost savings.